NOW AVAILABLE ON THE CENTRAL COAST. 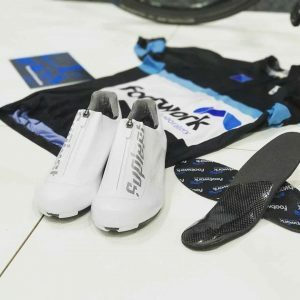 Cycling orthotics are custom made at Footwork Podiatric Laboratory in Melbourne. We will scan your feet and assess your cycling shoes to ensure the best fit. For your assessment and new custom made carbon fibre cycling orthotics contact us or book online at any time.